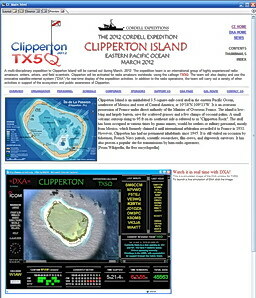 The 2013 Clipperton Island Expedition will have a broad audience worldwide, partially due to its visibility in on a real-time website. It is estimated that the project will be seen and followed by 40,000 radio amateurs, 1000 students, 1000 professional working scientists and administrators, 10,000 conservation-motivated individuals, and many others in various disciplines such as journalism, environmental protection, and photography. This viewership constitutes a highly targeted audience for products and services in fields related to travel, research, education, conservation, and communications. Availablity for interviews and other special events, as appropriate. 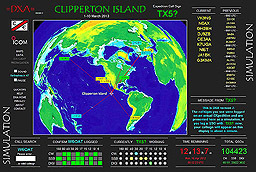 Three websites support this project: (1) the main Cordell Expeditions website; (2) the Cordell/Clipperton DXpedition website; and (3) the real-time radio operations website (DXA). These are shown here and each may be accessed by clicking on the respective thumbnail. All these websites are linked together. Corporate logos and advertising may be placed on any of these websites. The DXpedition website (this website) offers visibility to the amateur radio audience, and would therefore be appropriate for travel products and services, boats, oceania, islands, transportation, cameras, communications, and entertainment. The DXA website offers a targeted audience for technology products and services, such as electronics, computers, communications, camping equipment, and special materials. The scientific projects (ants, algae) will appeal to educators, researchers, sanctuary managers, and policy makers, hence would be most relevant for products and services relating to environmental management, teaching, conservation, and student projects. An example of images of a product in use on the expedition (the 2002 Cordell Expedition to San Felix Island, Chile) is shown here. 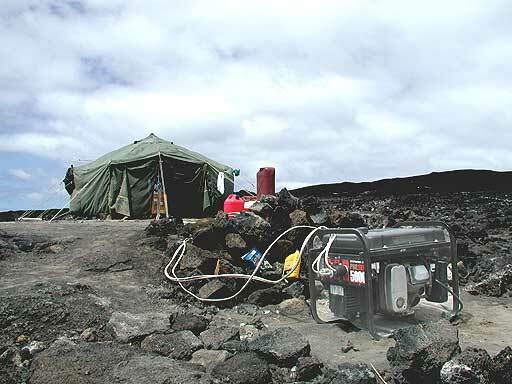 The generator supplies the electrical power for the operations in the tent. We will be happy to provide such images optimized for a particular intended use. An example of corporate use of project content for advertising is the following ad, which was published internationally by ICOM. 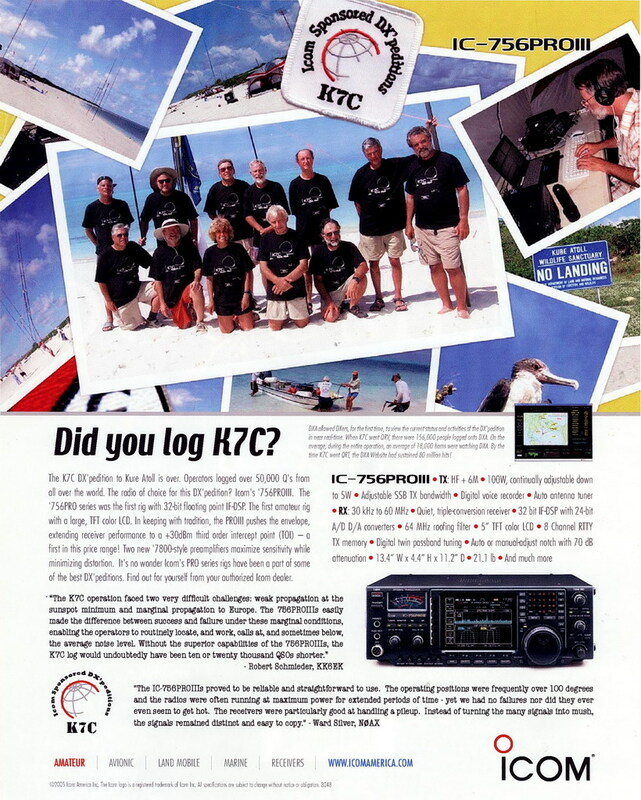 The ad shows this organization's 2005 expedition to Kure Atoll, K7C. We will be happy to provide materials to enable you to generate advertising appropriate to your company.